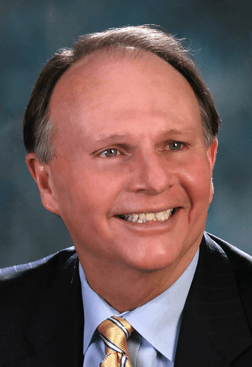 A flyer has been mailed to homes in Pennsylvania’s 165th Legislative District accusing its representative, Bill Adolph, of all sorts of vile things like keeping $183,650 i.e. chump change from the Marple Newtown School District and keeping $268,807 from the Springfield School District. Yes it is chump change. The Marple Newtown money would not cover the cost for a year of some Delaware County public school superintendent pensions. And the Springfield money could only keep former Penn State Vice President Gary Schultz living in the style to which he has become accustomed through late September. The flyer was produced by America Works USA which is a non-profit group that works in the shadows of the Democratic Governors Association to keep the fingerprints of people like Tom Wolf off the dirty deeds. Gov. 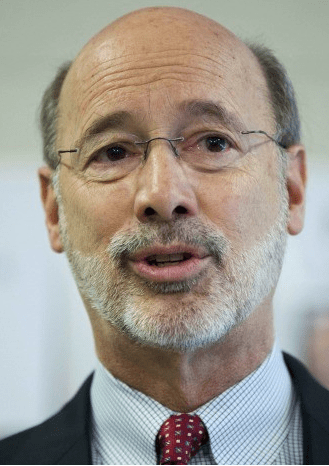 Wolf is trying to pressure Rep. Adolph to help him in his plan to put a crushing tax burden on the gas drillers responsible for whatever economic sunshine that has come Pennsylvania’s way over the last seven years. All, of course, without recognizing that the state has a major spending problem, not a revenue one. Pennsylvania already taxes the drillers 2.7 percent — on top of salaries, sales and the other usual economic activity that occurs during production. Increasing the taxes will either mean more cost passed onto the consumer — how much was your electric bill last month? — or curtailing production. Adolph is working hard to fix the pension crisis and recognizes the burden Wolf’s tax plan will place on the citizens of his district. He needs their support. Addendum: The $268,807 Adolph allegedly kept from the Springfield School District would not be a blip on the radar concerning lessening the impact of the recently approved $140 million new Springfield High School. On the other hand, repealing the state’s prevailing wage law could see a 20-percent cost drop i.e. $28 million i.e. not chump change in the price. If you are inclined to contact Adolph about something contact him about that. You would actually see your standard of living improve — or at least not drop so much — if that law was gone. Note the matter of the Springfield High School now goes to the township for approval of construction. Springfield School Director Bruce Lord said at the final Town Hall, March 19, the process of construction will take years not months. Some of those in attendance who exhorted the Springfield School District to keep their taxes low. About 130 attended tonight’s (March 19) final town hall concerning the fate of Springfield High School. The event was held in the high school auditorium. Four proposals are on the table: maintain the existing school on Leamy Avenue for an estimated cost of $100.39 million; build a new one behind Saint Francis Church on Saxer Avenue for $131 million; renovate the existing school for $133.8 million; and build a school on Leamy Avenue alongside the existing one for $136.4 million. The crowd seemed overwhelming in favor of the least expensive route. We counted 19 audience comments that either supported the “maintenance plan” or were an exhortation not to raise taxes — including one fellow who suggested a cyber school. Well, that would be less than $136.4 million. Four persons spoke in favor of a new school and five asked generally neutral questions. The number and passion were on the side of the low taxes. “If one person was forced out of home, how could you sleep at night,” one man told the school district’s representatives — school directors Chris DeSantis and Bruce Lord, and Donald Mooney, the district’s Director of Operations. Another said that 30 percent of Springfield is over the age of 60. Another expressed skepticism of the district’s figures claiming that recent renovations of Haverford and Marple Newtown high schools were less than two-thirds that of what is being estimated for maintenance of SHS. More than one person expressed fear of being forced from his or her home because of taxes. Bruce Lord presented a timeline of what comes next to start the meeting. He said the board and facilities will meet; the committee will present the Town Hall findings to the board, and then the board will begin project implementation. which means the board begins discussions with the township, which must approve all construction, then get a building designed then submit bids for construction. He said the process will take years, not months. Mooney squelched a few rumors flying around the community. He said the district is not going to acquire the Saint Francis property and that there will be no teacher layoffs to help fund the school. Author BillLawrencePosted on March 19, 2015 July 17, 2017 Categories SHS Master Plan19 Comments on Springfield Cyber School? About 300 persons sprawled throughout the Springfield High School (Pa.) auditorium for tonight’s (Feb. 4) fifth meeting concerning the fate of the school. Being debated are four expensive options ranging from building a new school near Leamy Avenue, estimated cost $136.4 million; renovating the existing 60-something-year-old structure on Leamy Avenue, estimated cost $133.8 million; building a new school near Saxer Avenue, estimated cost, $131.05 million and doing basic maintenance on the existing structure $100.39 million. Judging by the questions and applause, the crowd seemed evenly split between the Saxer Avenue option and the bare minimum (or less) one with maybe a slight skewing towards the latter. Architect and volunteer Gary Lockman said the simple maintenance cost was so high because the school’s HVAC and electrical systems were at the end of their life cycle. He said it would cost $20 million just to upgrade those systems. He further said the asbestos roof deck needs to be replaced. He noted that this type of roof deck is rather rare significantly hiking the cost of its removal. He said the district investigated cheaper solutions without success and that the asbestos was impossible to encapsulate. He also said it made no economic sense to renovate the building. Unlike the simple maintenance plan, the renovation plan would include upgrades rather than mere replacements. Another factor in the expense was the labor cost in southeastern Pennsylvania. A slide was shown illustrating that labor costs were 47 percent less in Berwick and 29 percent less in Pittsburgh. Don Mooney, the district’s executive director of operations, said the project would be financed with new 20 to 25 year amortization bonds that would wrap around existing bonds scheduled to be paid off in 2025. He said the owner of a home assessed at the district’s median of $146,050 would pay $250 a year for the simple maintenance plan when the full cost kicks in nine years after the project starts and $399 per year for the Saxer Avenue plan. One women in the question segment, however, asked if the school district could guarantee that the tax bite would not be greater than what they were claiming, and the district’s representatives were unable to do so. For the slide show displayed at the 5th Springfield High Town Hall go here. 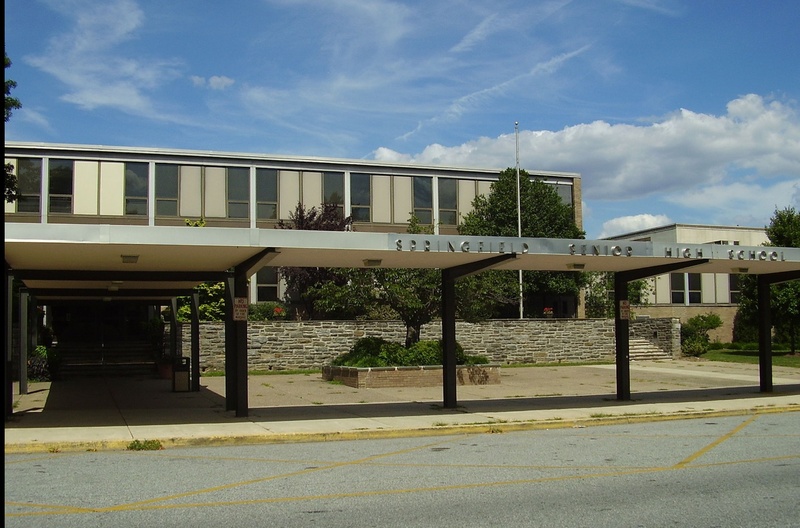 The fifth of six Springfield High School Master Plan Meetings is 7 p.m., tomorrow, Feb. 4, at the Springfield High School Auditorium, 49 W. Leamy Ave., Springfield Pa. 19046, reports Reginia Scheerer. The meeting will be televised live on Ch. 8 Comcast and Ch. 29 Fios. The agenda will cover “Costs and Financing Strategy”. There will be a 45 minute presentation by the Committee, then a 45 minute comment/question and answer session. The big news at tonight’s (Jan. 21) meeting of the Springfield (Pa.) Republican Party was that the party was not going to take a position on rebuilding or renovating the high school, the price tag for which ranges between $110 million and $144 million. Chairman Mike Puppio noted that school board matters have been decidedly non-partisan since 1991. He told committee persons to direct all complaints and inquiries on the matter to the appropriate school board member. He said that while the school board has been having town halls on the subject, no plan has been submitted to either the township zoning hearing board or the commissioners, and the state Sunshine Law prohibits either body from commenting on the matter unless it is in the proper venue. He said the issue is starting to bubble up and he expects it divide the community as those on both sides have much passion. He said that what the school board wants is not a “done deal” and that despite some speculation no “wink or nod” has been given on the matter by the township. He said those who claim this are taking the lazy way out and merely looking for an excuse to avoid getting involved in the debate. He stated specifically to the committee people in the audience and other community interested attendees that the party would not stand in the way of anybody seeking a school board seat as several are up for election this year. Maybe there is a position there, after all. In other matters, several people up for election or re-election spoke to the group including District Attorney Jack Whelan, who said that compassion was as important to his job as getting convictions; Common Pleas Court Judge Tony Scanlon, who was appointed to the bench last June by Gov. Corbett and is now seeking a term of his own; Michael Culp who is seeking election to County Council following his appointment to the seat that had been held by new 26th District State Sen. Tom McGarrigle; Andrea B. Puppio, who is seeking her third term as magisterial judge for court 32-1-32; and Jim Merkins, who is seeking election to a full-term for Magisterial Court 32-2-54 that had been presided over by Scanlan and to which he was appointed following Scanlan’s elevation to Common Pleas Court. The fourth of six town hall meetings on the Springfield High School Master Plan will be 7 tonight, Jan, 14, at the Delaware County Intermediate Unit (DCIU), Rooms 171-172, reports Regina Scheerer. The building is at 200 Yale Ave., Morton, PA 19070. This town hall meeting will not be televised live, but will be recorded and available later online at www.ssdcougars.org. The town halls, in our view, are an attempt to foist a $144 million edifice called the Saxer Avenue option on the Springfield taxpayer despite the high school property, as of yet, not abutting Saxer Avenue. Can we call it the Doug Carney Building? We have thought long and hard about the matter and have concluded that allocating $10 million for repairs with the specific task of keeping 1,600 students (present student population is 1,204) warm, safe and dry while skilled teachers educate them is more than adequate as it should be obvious that it’s not the building that matters but the personnel. That should be more than sufficient, assuming inefficiency spawned by corruption doesn’t rear its head, and more than generous. If inefficiency spawned by corruption does rear its head, then ending that, of course, becomes the priority and the repairs get put on hold. 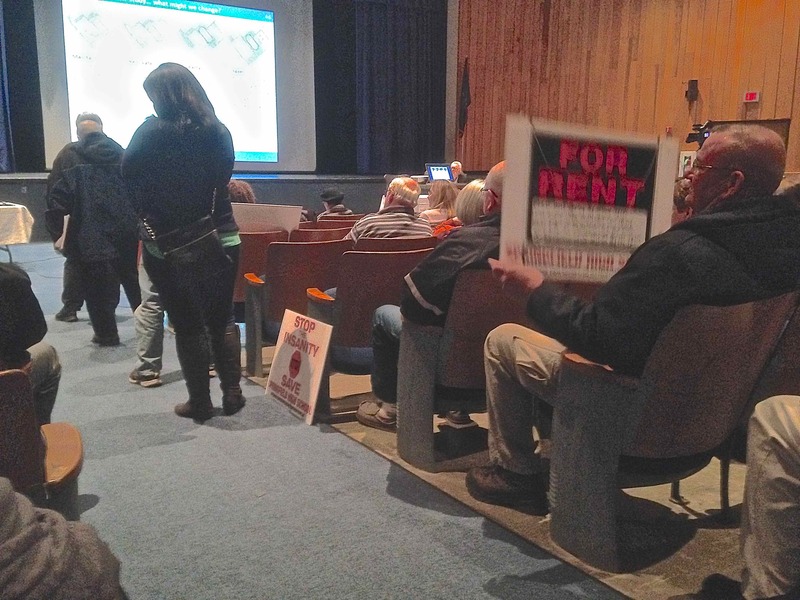 Fourth Springfield High Town Hall Tonight concerns the “Master Plan” which is an attempt to foist a $144 million edifice on the Springfield taxpayer.